The idea of ‘self-love’ is a popular aspiration for many people these days along with achieving zen-like mindfulness or lithely moving from downward-facing dog to sun-salutation without as much as breaking a sweat. All these goals sound great in theory and why wouldn’t anyone not want to love themselves? The only drawback is that self-love is bandied around as if it’s something that’s easy and effortless for all to achieve. If that were true, then everyone would just be getting on with it, and it wouldn’t be a thing. But it is a ‘thing. Self-love doesn’t feel like a natural state for all of us and perhaps trying to achieve it is just another way of beating yourself up for failing at something you think everyone else is managing as if they were born to it. Rest assured as many people struggle with achieving self-love as find yoga sweaty and uncomfortable. 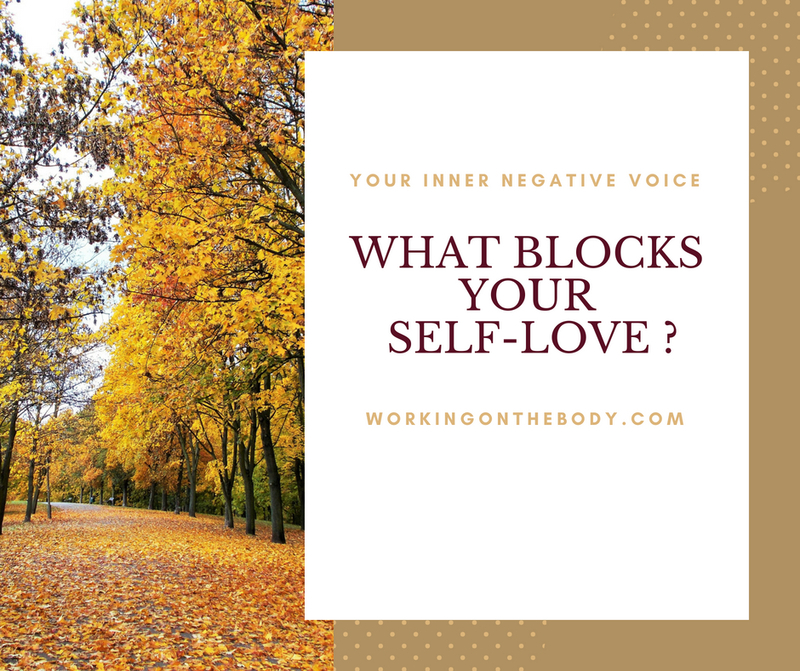 One of the most common obstacles to loving yourself is the little negative voice in your head that whispers in your ear a running commentary on everything you do or say. Now, if on hearing about your inner voice your response is, ‘What inner voice – I don’t have one’, then that is your inner voice. Your inner voice runs a continuous internal dialogue commenting on everything you do and often makes judgments on how well you do it too. For many people, their inner voice is rarely a source of uplifting encouragement. It is more likely to be an unremitting flow of self-criticism and negative self-judgments, and it acts as an effective block to self-love. Tuning in, and hearing your inner voice is the crucial first step to silencing the dispiriting stream of negativity that can be happening continuously, just below your conscious awareness like a toxic dripping tap. I would like to encourage you to spend a little quiet time, just a few moments, every day for about a week to tune-in to your inner voice. Just listen and note down the negative statements it says while being aware of the use of language, idiom, slang or accent of your inner voice. Where does your negative voice originate? Begin to get a sense of where the negative voice originated – does it remind you of anyone in your past – a parent, a teacher or a grandparent. The first step towards turning off your negative voice is to gain a greater awareness of your unique brand of negative self-talk. Train yourself to be more attuned to your inner voice and instead of allowing it a free pass to your sub-conscious mind become aware of it. 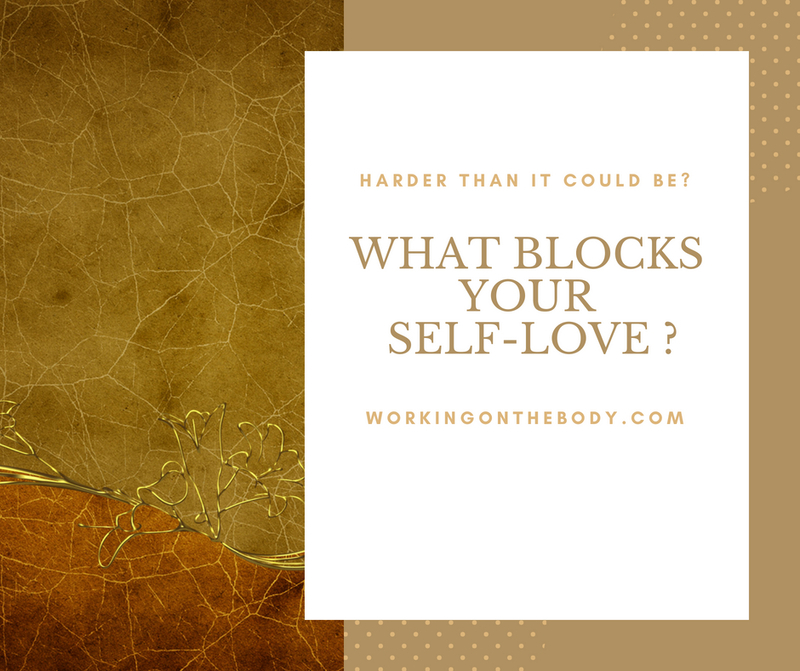 By just clocking it you are changing the dynamic and starting to diminish your inner voice’s power to block your self-love and then in your mind you can dismiss it for just what it is – a BS thought. Your aim is to transform your critical, carping inner voice into your most enthusiastic cheerleader. You can do this easily in just a couple of weeks of awareness. With your inner voice finally whispering words of encouragement and reminding you how fabulous you are self-love does become you’re effortless, natural state. If you are struggling to transform your inner voice from carping to celebratory you can book an obligation-free discovery call with me to explore what is getting in your way of self-love.